Another star among our graduates is Aigerim Omirkhan. 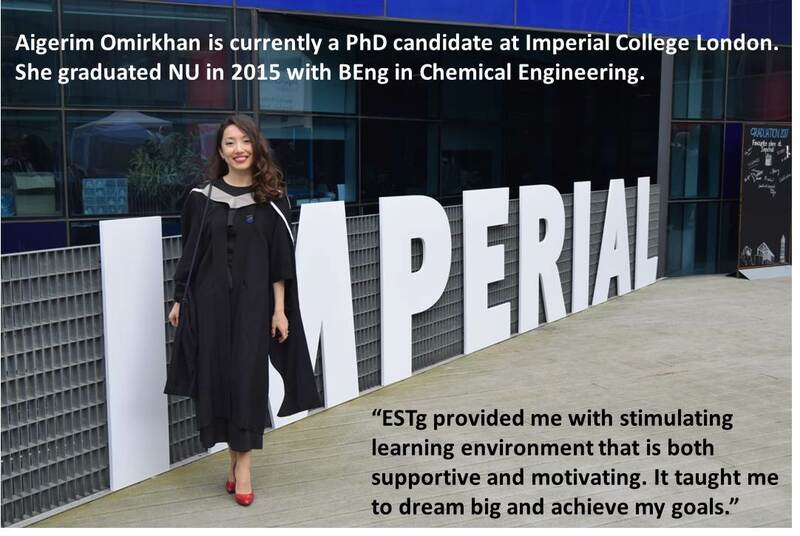 She graduated NU in 2015 with BEng in Chemical Engineering. Aigerim is currently a PhD candidate at Imperial College London. “ESTg provided me with stimulating learning environment that is both supportive and motivating. It taught me to dream big and achieve my goals”, – Aigerim Omirkhan. We are proud of the members of our group who don’t rest on their laurels and continue to conquer the world at the top universities in the world. 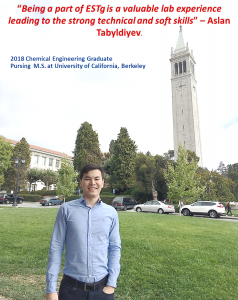 One of them is Aslan Tabyldiev who is Chemical Engineering Graduate 2018, pursing M.S. at University of California, Berkeley. During his studies at NU he worked in the research project, led by Professor Vasileios Inglezakis. 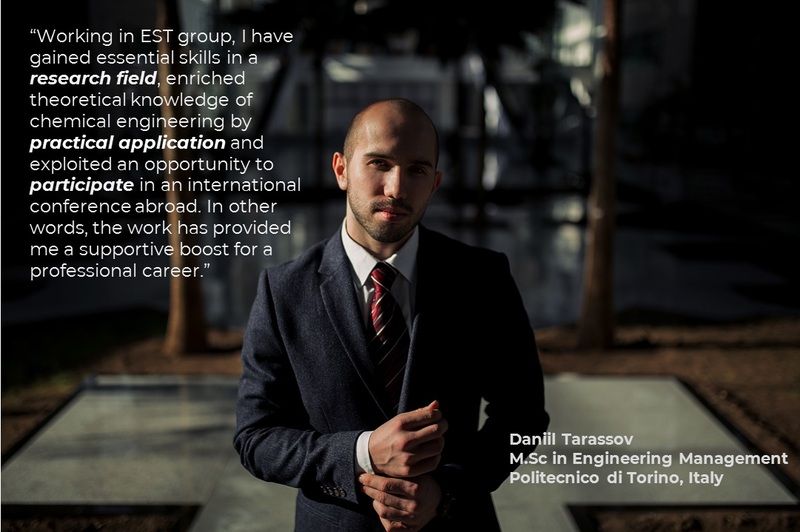 According to Aslan: “Being a part of ESTg is a valuable lab experience leading to the strong technical and soft skills”. We wish Aslan an unquenchable love to science, endless enthusiasm and the will to win. ESTg is confident that he will be the top student in California as he was in our group! 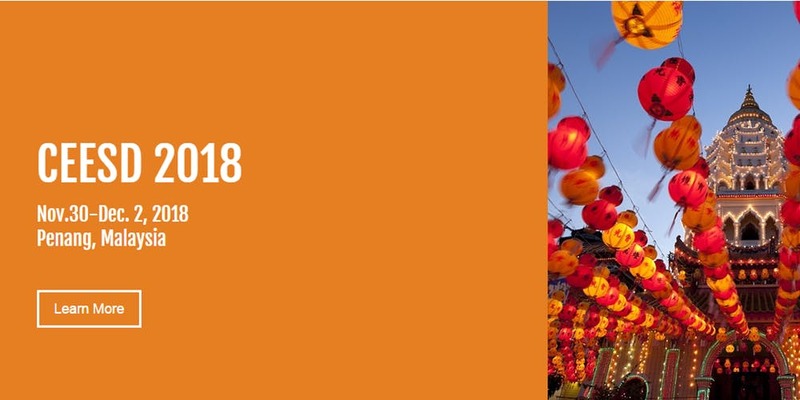 “Working in EST group, I have gained essential skills in a research field, enriched theoretical knowledge of chemical engineering by practical application and exploited an opportunity to participate in an international conference abroad. In other words, the work has provided me a supportive boost for a professional career”. We wish Daniil further success, the will to win and the endless enthusiasm for study and research! P.S Yes, we believe that soon we will see our members and former group members on the Forbes list. Why not? Tamirlan Seidakhmetov graduated from the Nazarbayev University in 2015. 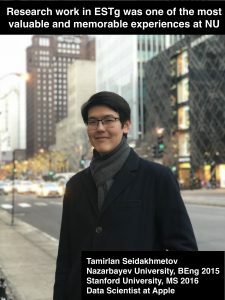 After receiving Master’s degree from Stanford University he started a full-time job in Data Science Team of CCC Information Services in Chicago, USA. Now our former group member works in the field of data analysis and artificial intelligence at Apple Company. The choice of this direction was due to the fact that now the giants of the technology industry are investing billions of dollars for the development of “Data Science”. Being one of the first students, he made an invaluable contribution to the development of our group. Nice to receive from him such warm words of appreciation to our group. We are always happy to observe our graduates being successful and outstanding in any spheres. It is always great when they keep in touch and send the words of gratitude to us. 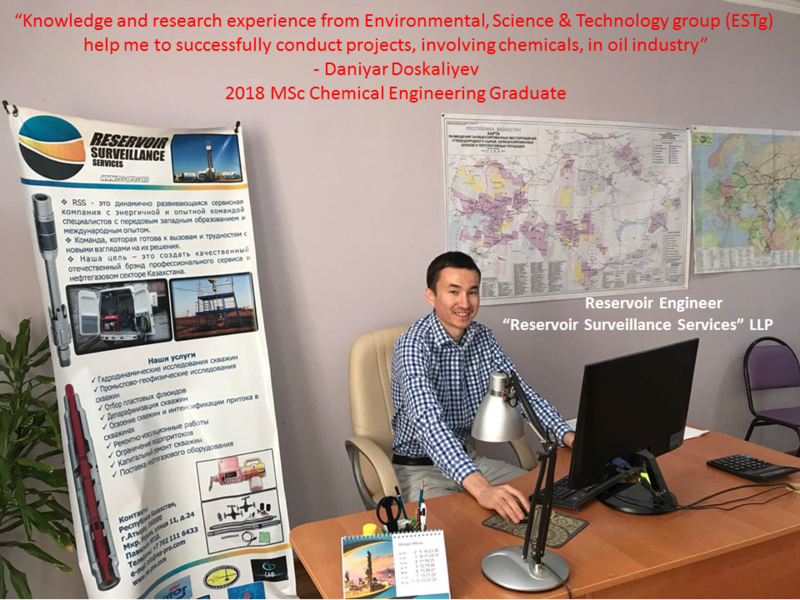 “Knowledge and research experience from Environmental Science and Technology group (ESTg) help me to successfully conduct projects, involving chemicals, in oil industry”, – Daniyar Doskaliyev, 2018 MSc Chemical Engineering Graduate. 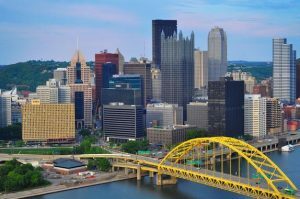 Professor Vassilis J. Inglezakis will conduct the plenary lecture called as A Critical Review on the Merits and Fallacies of Adsorption Kinetics Models,on October 30, 2018 at AIChE Annual Meeting.